From one of Shakespeare's best-loved plays. 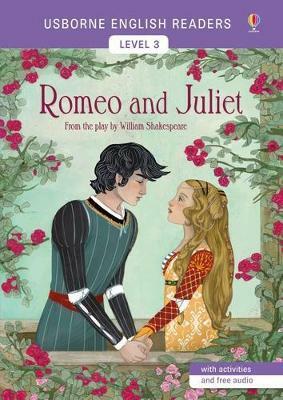 Romeo's family and Juliet's are enemies. The young people meet without realizing each other's identities, and fall in love. At first, it seems that their secret marriage may bring the families together, but a series of misunderstandings leads to tragedy.With fun activities after the story, and online audio in both British English and American English. The Usborne English Readers series is a new range of graded readers in simplified English for younger learners. They include activities, glossaries and a full audio recording of the text in both British English and American English.